Trotter Roofing & Gutters, Inc.
Four Seasons Roofing & Repair, Inc. Comment: House built in 2002, original roof. Have had a couple of leaks repaired over the years. Probably have another year or two left on this one, looking to replace. Comment: A valley where the roof and siding meet is a clog point and siding is showing signs of wood rot even with the sliding being Hardy. Over hang repair needed as well. On the opposite side of the peak, water is getting into my spot light and shorting it out. The actual singles are fine just a poor roofing design. Comment: I have a leak between the roof vent and the roof. 1st Choice Home Improvement, Inc.
Woodstock Roofing Contractors are rated 4.76 out of 5 based on 1,343 reviews of 63 pros. 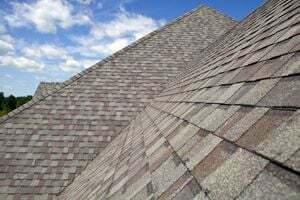 Not Looking for Roofing Contractors in Woodstock, GA?